Tincture Bottle, Mortar Of Healing Herbs And Paper Of Recipes.. Stock Photo, Picture And Royalty Free Image. Image 55016865. 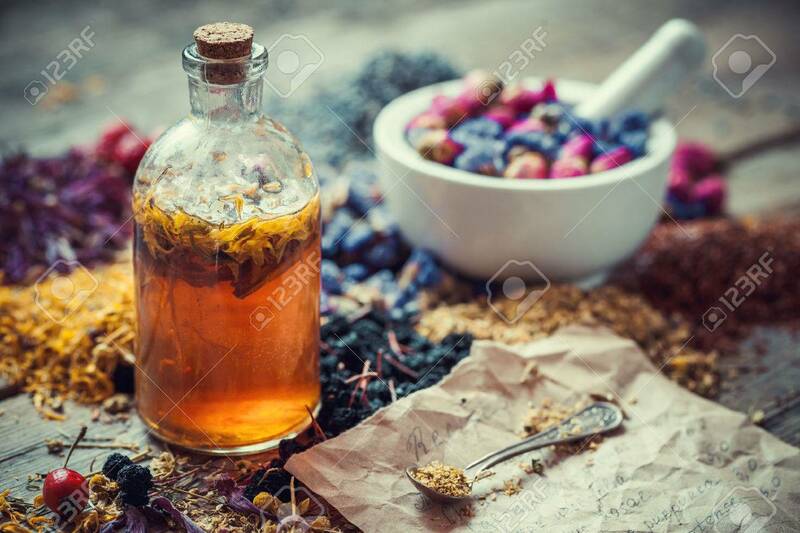 Stock Photo - Tincture bottle, mortar of healing herbs and paper of recipes on table. Herbal medicine. Tincture bottle, mortar of healing herbs and paper of recipes on table. Herbal medicine.